The Queen has been hailed as a beacon of global style and one of the best dressed women in the world in a century of rapid change. Vanity Fair magazine, the bible of contemporary fashion and popular culture, awarded her a special commendation for her steadfastness in dress -- the first such award in its history. Special correspondent Amy Fine Collins, who helped compile the magazine's International Best Dressed List, said the 90-year-old monarch deserved the accolade because of her unwavering sense of style. She said: “She has consistently represented who she is and what she stands for, without wavering from a standard she set a long time ago. 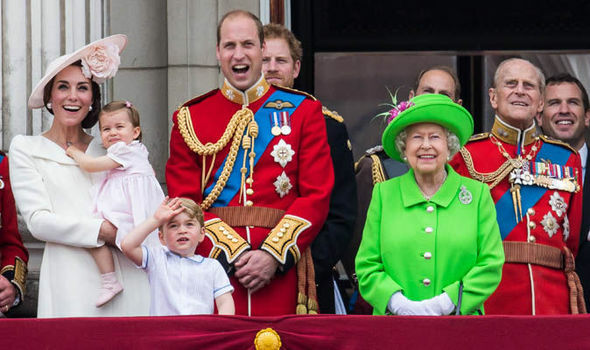 Vanity Fair said the Queen's most notable ensemble this year was the vibrant green Stewart Parvin coat she wore at Trooping the Colour in June to mark her official 90th birthday. The coat, which is currently on display in the summer exhibition for tourists at Buckingham Palace, was quickly nicknamed her Neon at 90 outfit. The judges selected a number of the Queen's outfits over the years as proof of her enduring fashion sense. They included a 1961 photo showing her looking resplendent in the mantle and robes of the order of St Michael and St Peter at a service at St Paul's Cathedral in London.